We woke up early, had breakfast, and headed down to the Dolphin Cove for a snorkeling experience that Matt and Ryan will never forget. Unfortunately Jake was too young, but the two older boys and I donned our wet suits, diving masks, snorkels and fins and joined our Israeli guide in a 30 minute swim with eight bottle nose dolphins, a giant green sea turtle, numerous sting rays, and lots of other sea life. It was obviously the dolphins that were the highlight of this experience, and thanks to my trusty photography assistant Rachel, I have proof that I was here and did this. For me, it brought back memories of my experiences working with two dolphins at the Waikiki Beach Aquarium for part of a summer along with my brother Paul, and working all night along the beaches of St. Croix protecting nesting leather back turtles with my brother Doug. Like those experiences, this was real….wild life in their homes, on their terms. 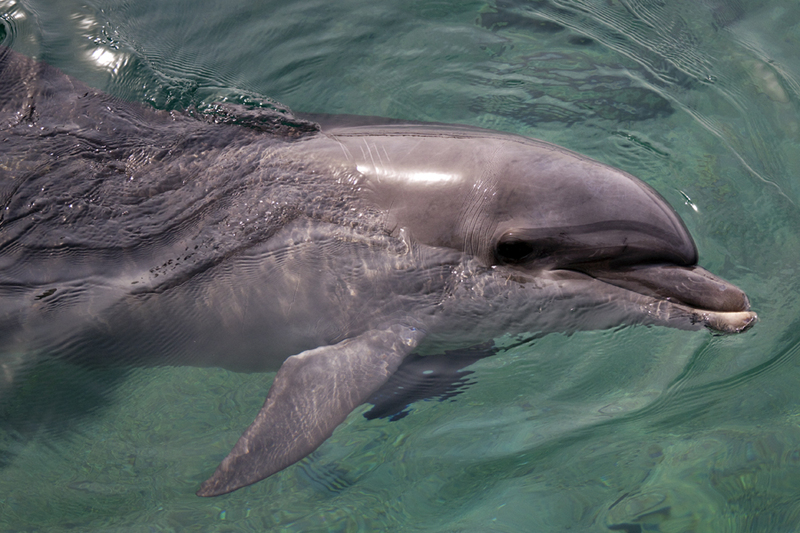 The eight dolphins used to be completely free roaming. They had a water fence in the cove, but they were free to roam in and out. Back in 2006, the water gate was closed because they found that people were abusing the dolphins (beer in the blow holes, feeding crazy foods, hitting them with oars and paddles, etc). 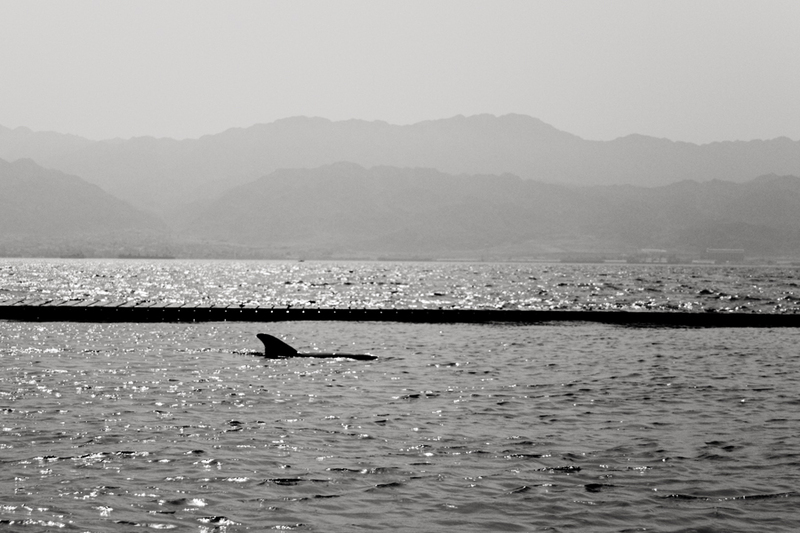 It was then decided that for their own protection, the sea gate would remain closed and access to the dolphins would remain limited to those who came through the refuge. I think the boys were awestruck by the experience and will never forget it! 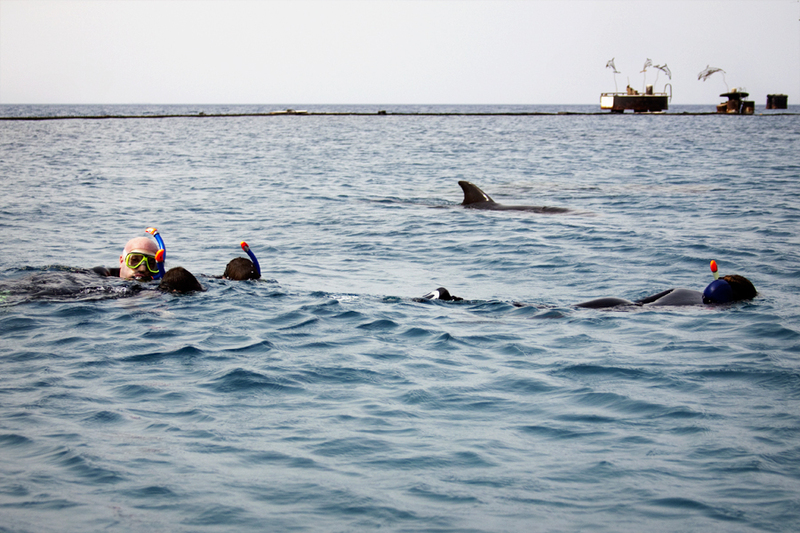 Jake and Rachel spent the time taking photos and meeting the dolphins who approached the floating walk way. All too soon, it was over and we were back on the road to Yavne’el….another 5+ hours in the car. Rather than take the same route home that we took down, we decided to take Road 40 most of the way. 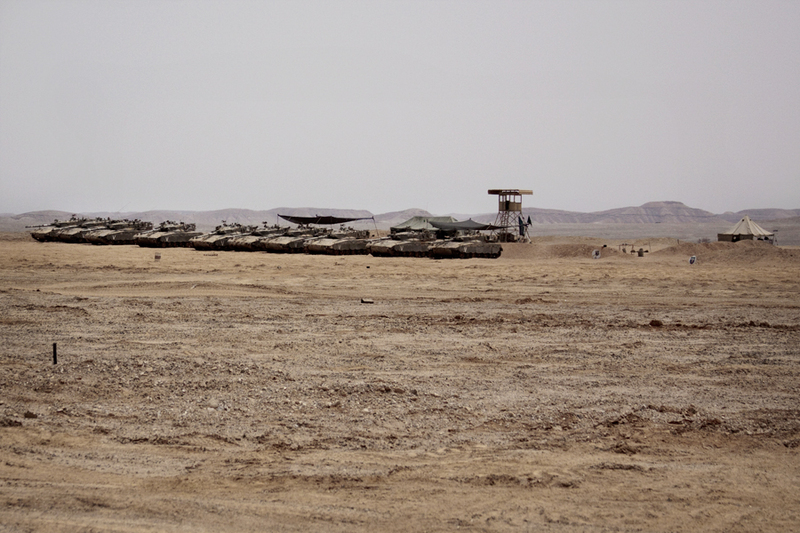 This took us right through the heart of the Negev and through the Ramon Crater (Mitzpeh Ramon). 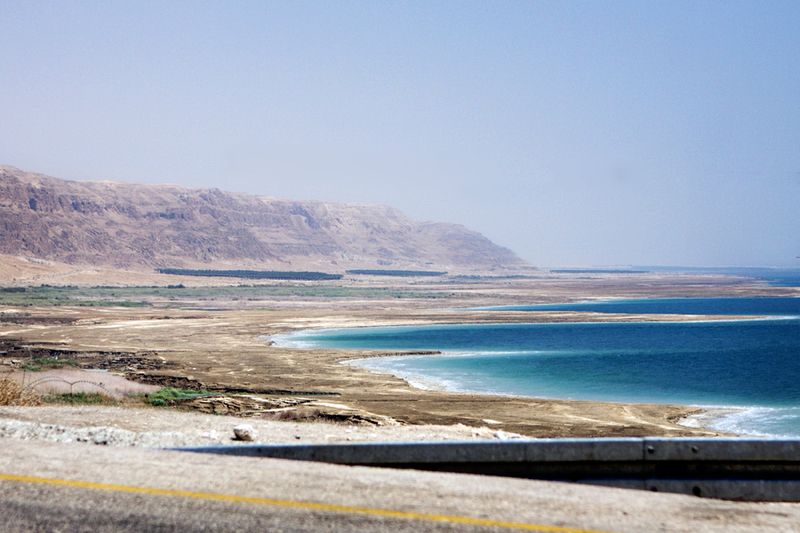 Just like the ride to Eilat, we were impressed with the landscape. Barren, but in a very ugly way it was beautiful! The kids even picked their heads up from the game boys when we entered a stretch of road that was bounded on both sides by live firing ranges used by IDF tank squadrons. 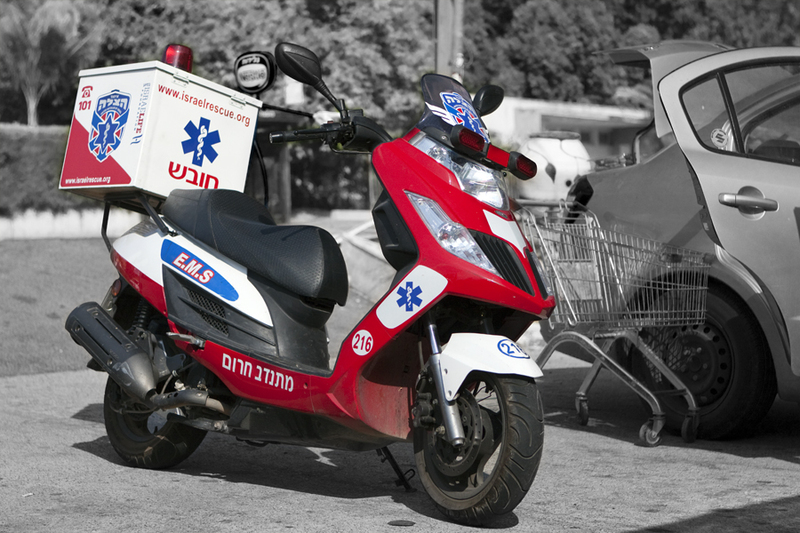 Remember, this is not on an army base….this is right along one of the main roads in Israel. After several hundred kilometers of this barren landscape, after seeing one Bedouin village after another, after dozens of “Use Caution – Camels” signs, we were back in northern Israel and the familiar territory of the Kinneret. Once again the boys did remarkably well with the time in the car. Once we hit home I quickly jumped on the internet to load the first two of the vacation within a vacation updates, and then helped to make dinner. Several loads of laundry (and no scorpions) later, we were once again packing for the next excursion. Our guide will rejoin us and we will head to Jerusalem this morning, where we will be for the next four nights. Later this afternoon we will meet Adam and Judy, along with Ari, Noah and Rachel. Tomorrow, Monday Aug 2, Matt and his cousin Noah will have their Bnai Mitzvot at the Western Wall. I have been looking forward to this for months and can’t wait!!! This will be the coolest Bar Mitzvah I will likely ever have the chance to photograph (from a Dad’s perspective, of course!). Our five days and four nights in Jerusalem will be action packed….the Old City, the Dome of the Rock, the Western Wall and it’s ancient tunnels, Masada, the Dead Sea, and so much more. Once again, I am not sure what my internet access will be, but I will try to maintain this daily update as best I can. Until then, I hope you are well and waiting for my next update with eager anticipation! Shalom! 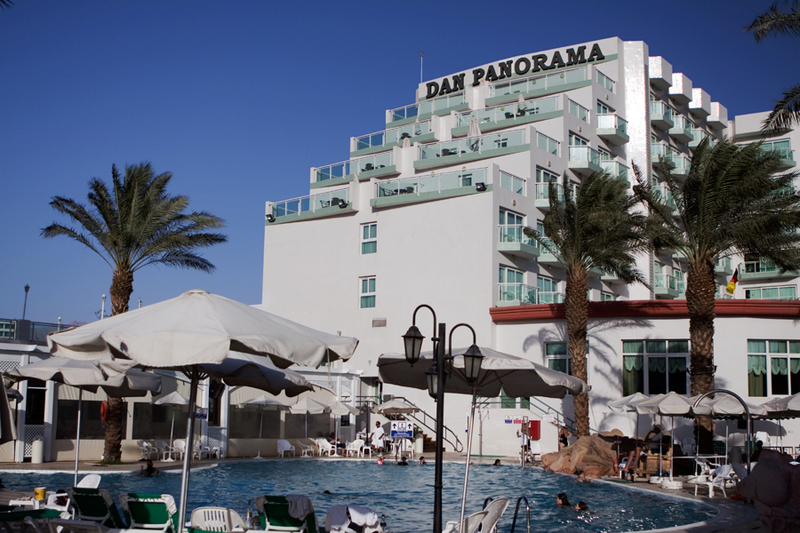 Sorry for the gap in entries over the past few days….as I anticipated, I did not have internet access in the hotel in Eilat. So let’s catch up…before I do, however, I want to extend a Happy Birthday to my brothers!!! I hope you enjoyed however you celebrated! After stocking up for the ride, we were off! With a few stops for food and bathrooms we made the 500 km journey in just less than 5 hours. It really wasn’t that bad and the kids were remarkably well behaved thanks for fresh charges on the game boys, portable play stations, and iPods! The first half hour of the drive was totally uneventful. At about the 30-minute mark we arrived at the checkpoint blockade. Huh??? Checkpoint?? Blockade?? 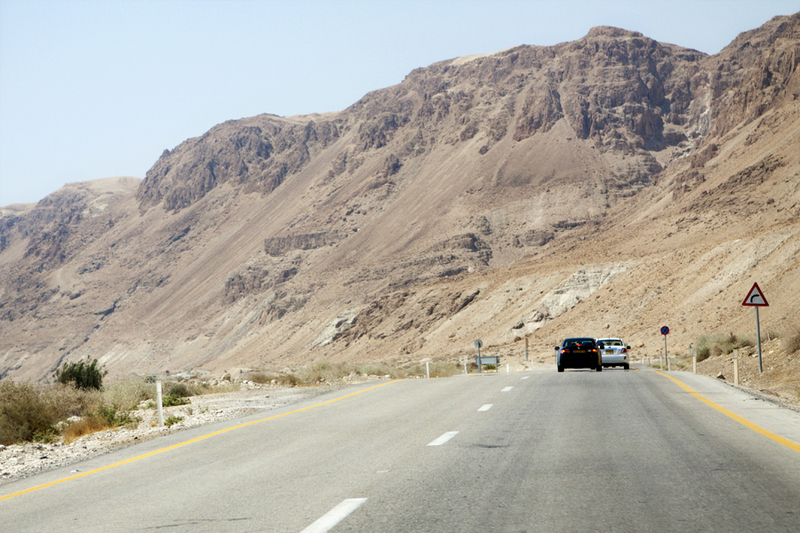 We decided to make our way to Eilat by traveling Highway 90. This is clearly not the Mass Pike or New York State Throughway. 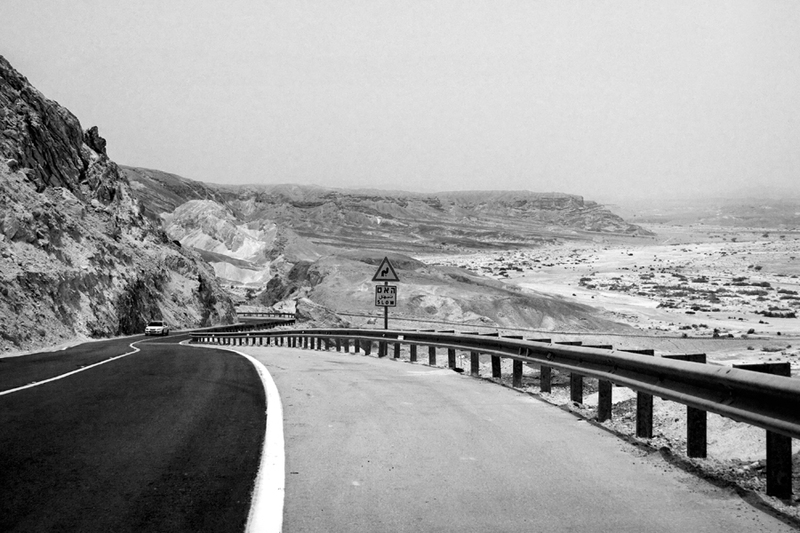 Road 90 is a 2 lane road that makes its way from the northern most town on the Lebanon boarder all the way to Eilat, the southern most city in Israel. To complete that route, however, it travels directly through the Palestinian controlled West Bank….also known here in Eretz Yisrael as Area C.
Funny thing about Area C. As soon as you pass through the blockade at the boarder, the GPS device stops navigating and alerts you that you are now traveling in Area C. It continues to indicated that the car is traveling Road 90, but does not display and turn by turn navigation and does not display any of the surrounding road ways. I took this as a sign that this good Jewish American family should stay right on Road 90 and not stop for anything until we pass through the southern checkpoint (pictured below) and back in the safety of Israel. Not only did we do just that, but Rachel called her mother just to let her know that we were no longer in the West Bank….what a mensch!!! I must say that I was a tiny but nervous driving this area, but more so I was excited to have done it. I think that Rachel thought the same. It gave us an opportunity to talk to the kids about politics, religion, and the clashed that result from the conflicts between the two. We talked about history and current events, including the recent Israeli boarding of the “humanitarian aid” boats off the coast of Gaza. It’s one thing to read and watch news about this stuff when in the US. It’s quite another thing altogether to discuss this stuff here, in the heart of it, where it’s real every day. I think the kids have learned some interesting and less sheltered perspective about these issues, and that’s a good thing! Back to the journey…Shortly before leaving the West Bank we hit water!! 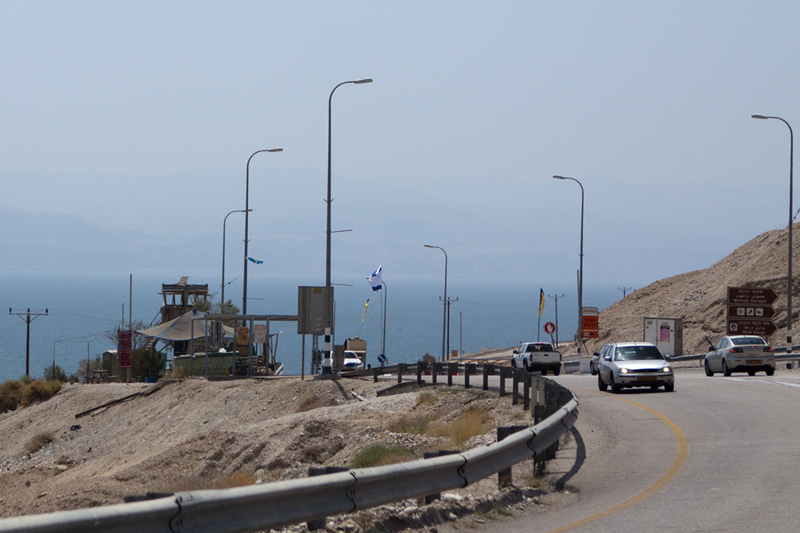 We had arrived at the Dead Sea (photo below). It was remarkable in color, but even more remarkable in how far it has receded! The plains that were clearly once the bottom of the Sea are now vast in size and completed desolate. I am guessing this is recent as none of the vegetation that grows along the older shores have invaded this new land yet. 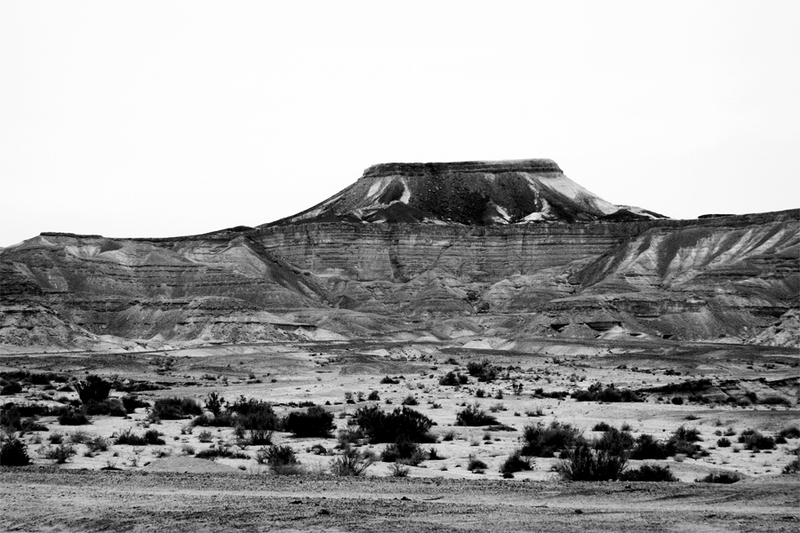 The scenery in the Negev (Israeli Desert) was like a lunar landscape, but at the same time was beautiful!!! The geology changed along the way, but the one constant was a complete lack of plant life…nothing…only rocks, gravel, dirt, and sand…for hundreds of kilometers. 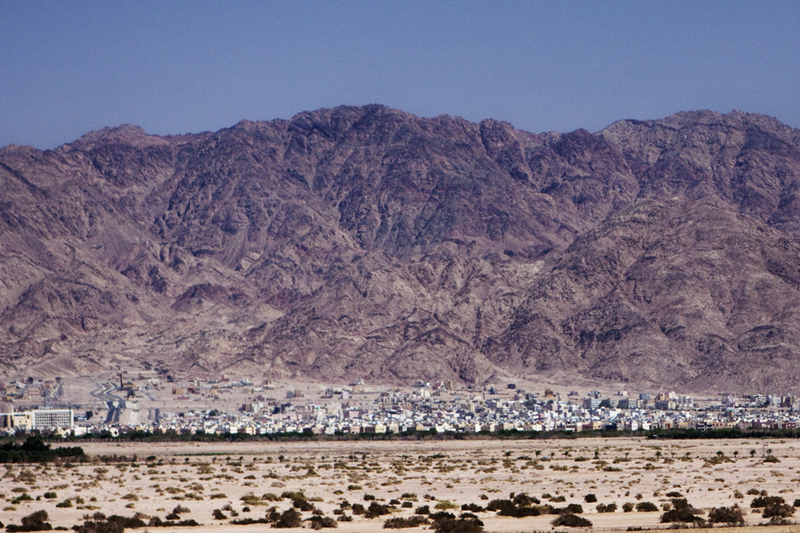 Then, all of a sudden, through the barren landscape appeared an oasis…in the distance was Eilat. We had arrived and it looked beautiful. It was interesting to see more villages on the Jordan side of the boarder (first photo below) as we got closer to the sea. 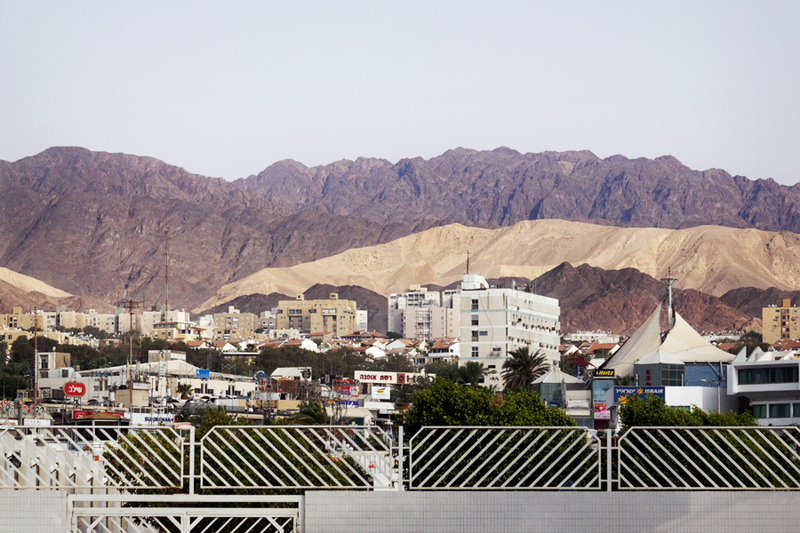 Arriving in Eilat was, in some respects, like arriving in Las Vegas…out of the desert pops a cluster of hotels with a singular purpose, which in the case of Eilat is a focus on aquatics of the Red Sea. We checked into our hotel and simply spent the remainder of the day by the pool (photo above). It was hot, but there was a breeze. Unfortunately it was not a cool breeze and I can now imagine what it feels like to be inside of a convection oven. After swimming and a quick shower it was off to dinner then to bed. Stay tuned for Part 2, which will come after dinner in a few hours….I hope….if I don’t collapse from exhaustion first.